Valentine’s Day is basically celebrated to fill in the uncertainty that exists in your relationships. After all, it is the day when you would like to splurge any amount of money to see her happy. One of the most important things to keep in mind is that your girlfriend struck a relationship with you not because she wanted you to surprise her with a beautiful gift. She did it because she liked you. So one of the best trick to have a happy Valentine’s Day is to just be yourself. Don’t force her into a situation with all those luscious red roses’ bouquets, fancy arrangements and an expensive dinner to make her feel on top of the world. Even if you plan to do something really great, it is better not to replicate a romantic Bollywood scene in front of her, After all nobody wants the perfect ‘Raj-Simran’ couple. Therefore, your Valentine’s Day gift should be less about the classic romance from Yash Chopra’s movies. It is best to go with something which cute and adorable and leaves your girl truly impressed. 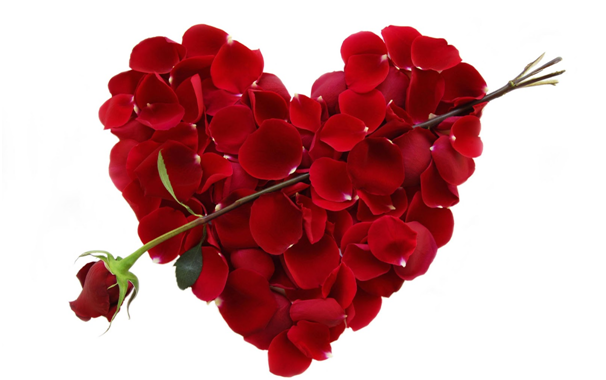 There are several myths which revolves around the perfect Valentine’s Day celebration, some of them are listed below. Woman Love Chocolates – Really? One of the biggest myth that revolves around Valentine’s Day gift is that women love chocolates and is a sure shot way to a woman’s heart. Trust me, this theory is as old as my grandmother’s car. Don’t go by this cliché and shop for something that they love to have. It is not important for new couples to have a traditional Valentine’s Day celebrations. If you have recently fallen for her doesn’t mean that you have to build a TajMahal. Just ask him to keep you company on the special occasion and maybe you can even have some meaningful conversations too. Remember the time when you actually thought of making something for her and it turned out to be terribly nasty. If you are running low on cash, the best thing to do would be to share a meaningful conversation with your girlfriend which you might be postponing for a very long time. It will definitely make her feel truly special on the occasion. I have seen many proposal failures when Romeo proposes the woman of their dreams and the girl eventually smashing the bouquet on his face can be extremely hilarious. So it is best not to pop the big question on a Valentine’s Day. I have seen many of my friends too who are badly wishing their marriage or may be even engagement happening on the Valentine’s Day and I don’t understand why? I mean you obviously don’t want such a personal moment to look so ordinary when the entire world might be doing something of this sorts.